ABC is the first broadcaster to launch its own live-streaming app, but four big limitations highlight the difficulty of getting TV fully online. ABC will become the first broadcaster to launch its own live-streaming app this week. But before you start cutting your cord, know that true online TV isn't quite here -- not yet, anyway. Disney/ABC Television Group will officially release the "Watch ABC" app on Tuesday, letting users stream live network content on the Apple (AAPL) iPhone and iPad. The company called the announcement "a defining moment in technology and distribution." That may be, but the app still isn't a total-package solution for everyone -- and none will be, until someone figures out how to align the varied interests of studios, cable providers, networks and affiliate stations. They all want more eyeballs, but they can't agree enough to pull TV completely into digital. Not TV 'Everywhere': At launch, Watch ABC will be available only to viewers around New York and Philadelphia. That's because ABC, like other broadcasters, doesn't own and operate most local stations across the country. Instead, they sign contracts with affiliates and wouldn't have the right to stream them without inking separate deals. That means without an affiliate agreement, you might be able to watch "Jimmy Kimmel" but not the local news broadcast that precedes it. That's too messy a setup for ABC to implement. So ABC is working on those affiliate deals. The company has signed an agreement to launch the app in Hearst Television's 13 ABC station markets, which include Boston and Kansas City, and plans to negotiate more affiliate deals by the fall TV season. Meanwhile, Watch ABC will also launch soon in six other ABC-owned station markets including Los Angeles and Chicago. But a nationwide roll-out will take time. 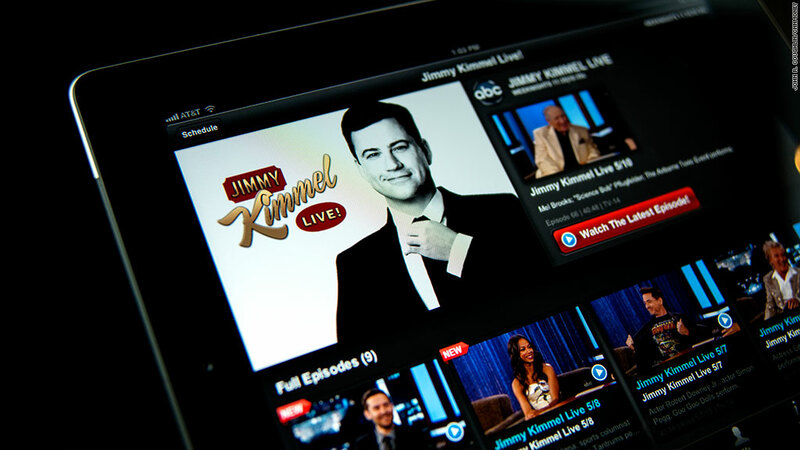 Related story: Will broadcasters beat Aereo at its own game? Pay-TV subscribers only: Even if you're a viewer in a Watch ABC area, you can't exactly watch for free. After a six-week no-cost trial in New York and Philadelphia, only viewers who pay for cable or satellite subscriptions will be able to log into the app -- even though ABC, like all broadcast content, is free with an antenna. 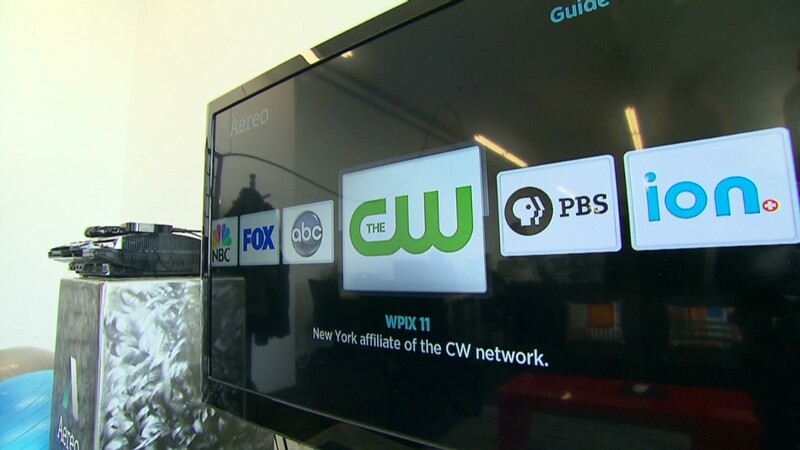 Like the affiliate model, this pay-TV setup requires ABC to work with cable and satellite providers. Deals are in place with providers including Comcast (CMCSA), Cablevision (CVC), Cox and AT&T (T) U-Verse. A rep for ABC, owned by Disney (DIS), wouldn't say explicitly why the company opted for a pay-TV setup: "We're looking to help cable providers add value for their subscribers," said VP of communications Karen Hobson. It could be ABC's way of appeasing cable and satellite companies, who pay broadcasters a per-subscriber fee to air their content. Commercials aren't the same: ABC confirmed that the app won't air the same commercials as the network does. Instead, the ads will be similar to those shown on ABC.com. Hobson, the ABC rep, noted that "advertisers sometimes license music for commercials that can be aired only on TV and not online, for example." The commercial break length will be the same on the app and on TV, she added. Competition: As the TV titans struggle to figure our their strategy, a startup called Aereo is trying to undercut them altogether. Aereo lets users live-stream or record broadcast content for a small fee, assigning each customer a unique antenna. Broadcasters including ABC, CBS (CBS), Fox owner News Corp. (NWS) and Comcast's NBC Universal, have sued Aereo in an unsuccessful yearlong bid to take the company down, and a few have threatened to become cable channels unless Aereo is shuttered. Disney told the New York Times that the Watch ABC app was in the works before Aereo appeared on the scene last year, but it seems the startup may have expedited broadcasters' plans to tiptoe into digital. Coincidentally, Aereo announced on Monday that it is eliminating its daily $1 plan and annual $80 subscription. Users can get 20 hours of DVR storage for $8 month, or 60 hours for $12.